It’s not always easy to find your style. Especially when you first move in to your home. It takes time & tweeking. And, even then, you’ll probably wind up tweeking some more. This is what my fireplace in my dining room looks like today. I’m happy with it. But it took a while to get here. When we first saw the house, the room looked like this. I knew right away I wanted to room to be a dining room instead of a living room. 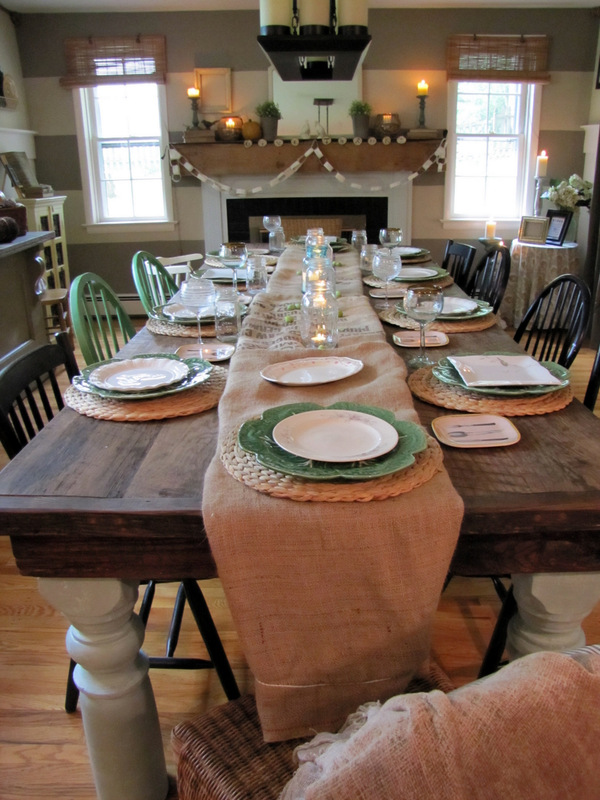 And, I L O V E it as a dining room. 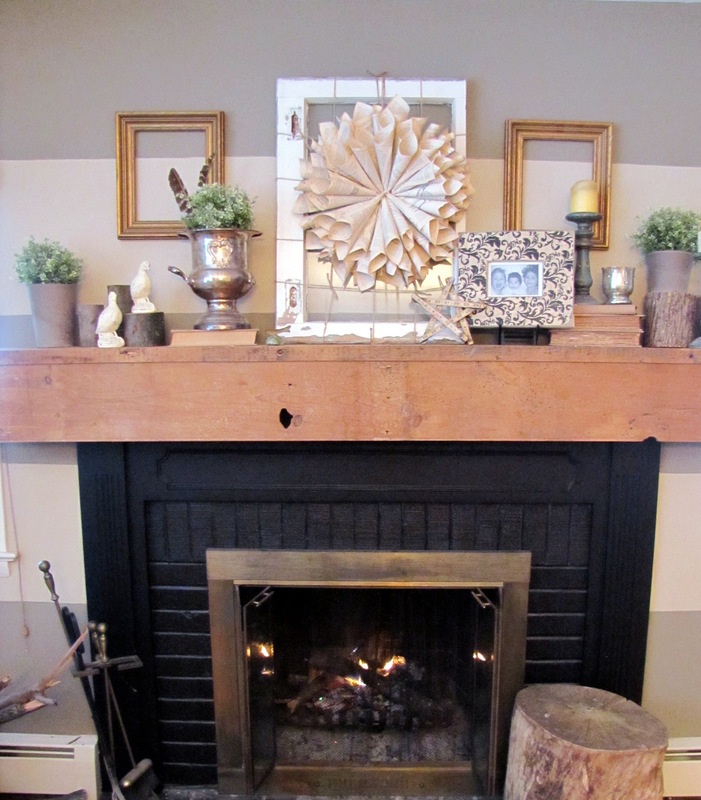 At first, I just thought the fireplace needed a tiny bit of color, so I painted it sea salt by sherwin williams. Something still was just not right. So, I Darkened the back wall and added horizontal stripes. The stripes worked out great, but I knew the mantel needed to be heftier. 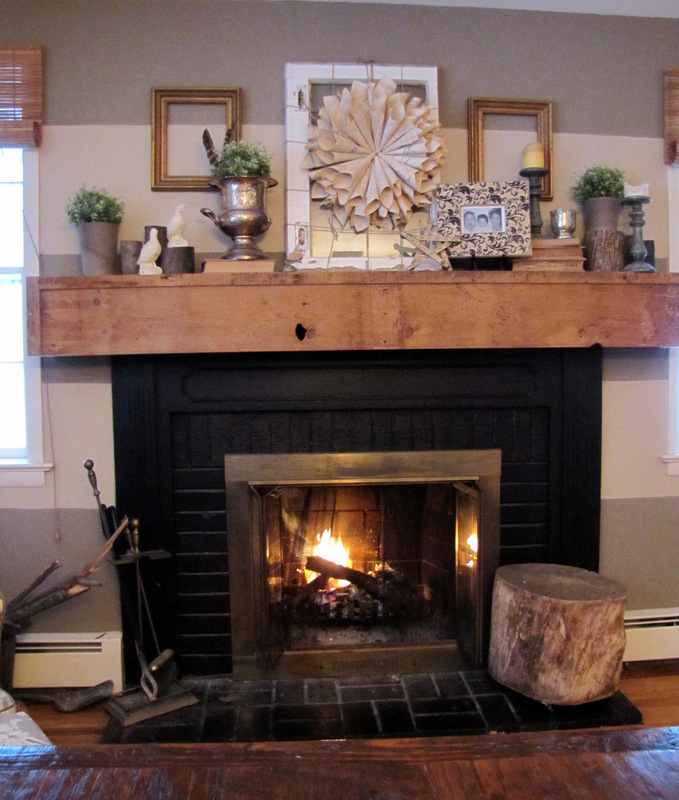 So, we had a mantel made from old barn wood by John Duffy, from Stable Tables. 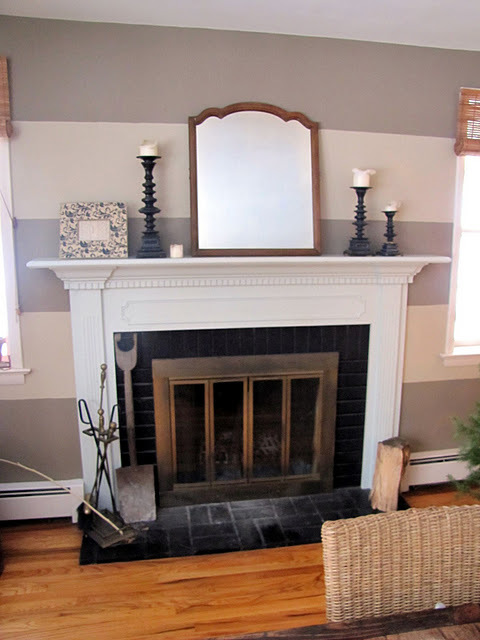 Then, finally a little before Christmas, I painted the fireplace black. 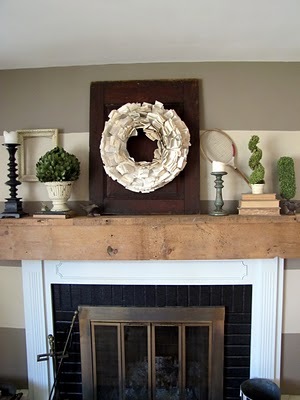 Now, the fireplace works well with the rest of the room , and the rest of the house for that matter. So, it takes a while, but keep tweeking. i know I always will. You are one Tweeker! 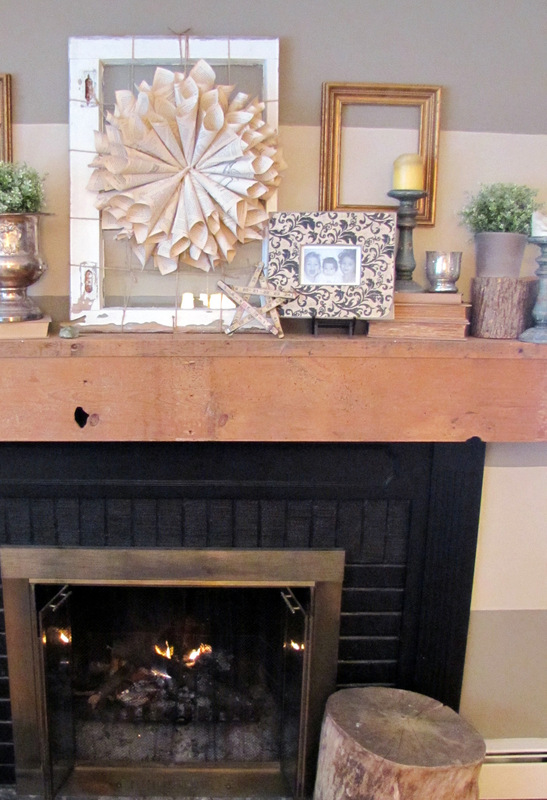 You spent a lot of time on this fireplace and mantel and it is totally worth it! 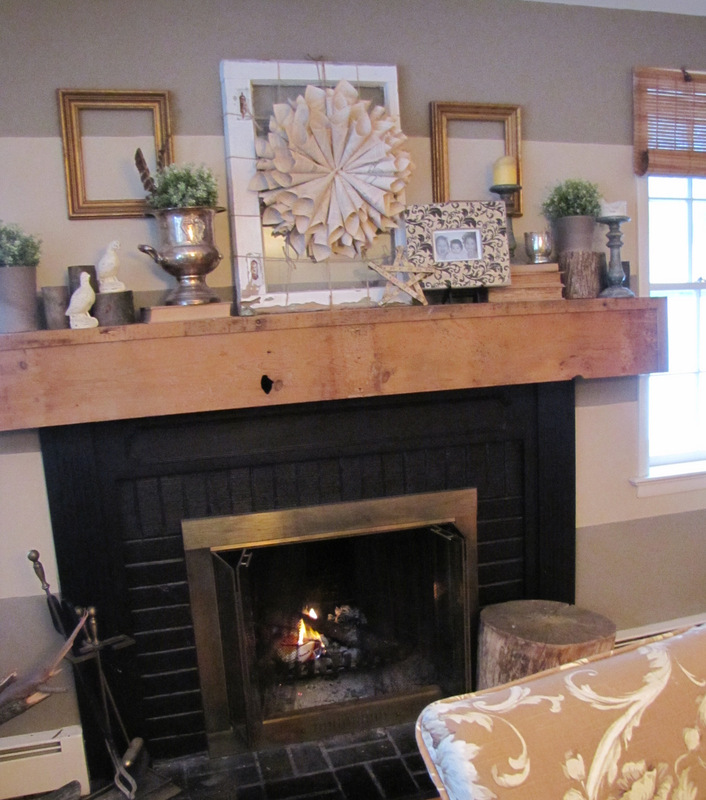 I love the old wood and that you painted the fireplace black. It looks wonderful! 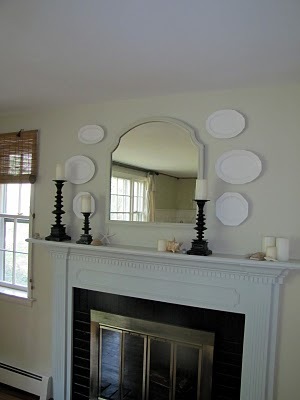 I love how you decorated the mantel, too. I have been fumbling along since I took the Christmas things down. Yours is giving me some inspiration! That big dining room table is amazing! Love the mix of chairs too! I guess that's what I do… I just keep tweeking…cause I'm just never satisfied. I must admit…I am starting to see a more clear picture of how I want things too look. It just takes time. 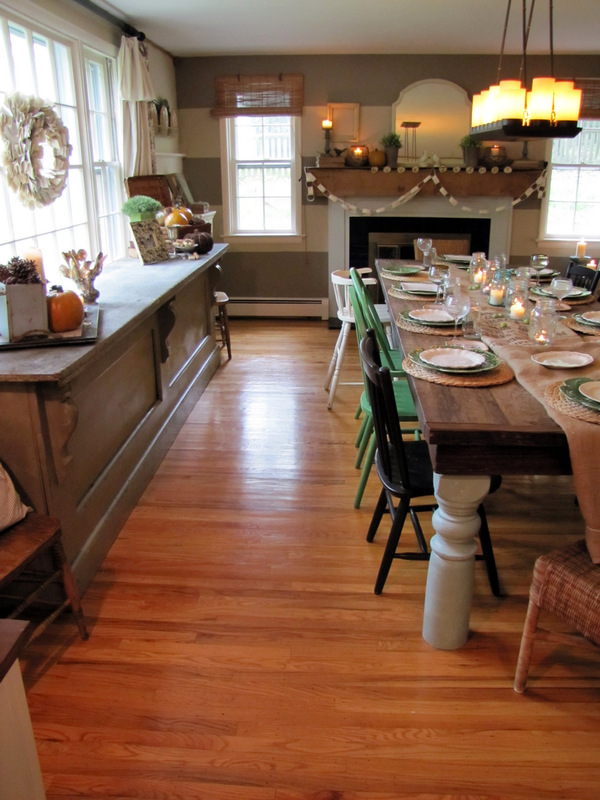 Love your dining room, fireplace and table. It has a grand– country living feel to it… very nice. Hi there! Love your house! 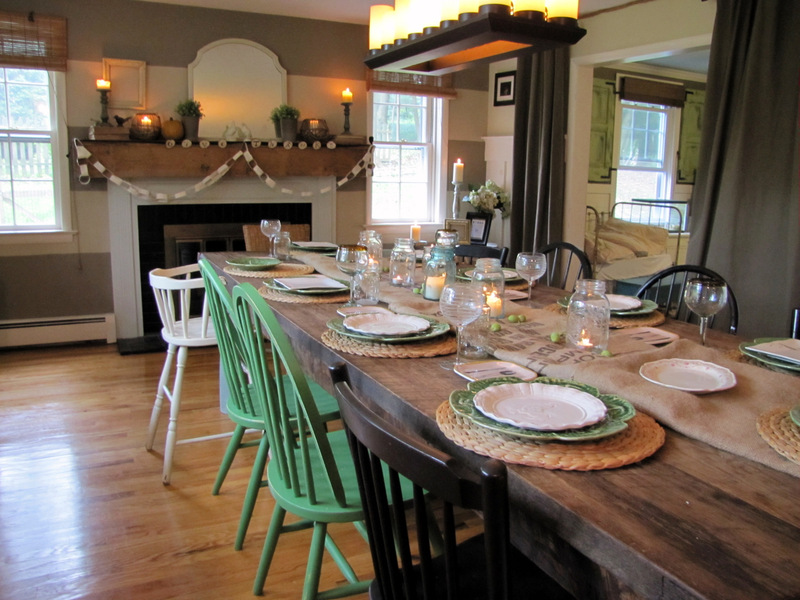 Btw, where did you get that hanging candle tray above the dining table? I love it! I struggle with finding my style for sure! We moved into our home this summer and I'm still trying to figure out what to do with everything. I agree it's an evolution. 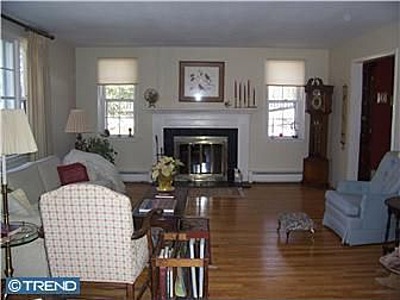 I wish I know what to do with my fireplace/wood-burning stove. I know it's not my style but I don't have a lot of money to fix it up. Anyone have suggestions? Here is an image of it.